Sometimes its fun to have flowery legs - here are a few that have caught my eye. If you haven't already give them a go, they're surprising flattering. 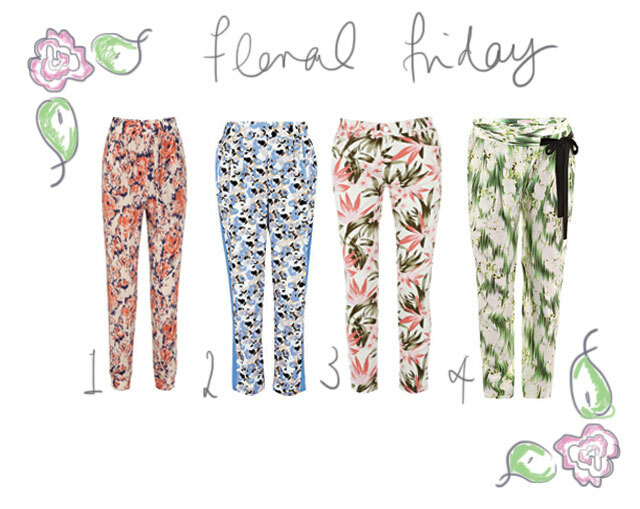 Great post, I am desperate for some floral trousers. This blog is so inspiring and creative keep up the good work. Hi Lucy, Thanks so much for your comments, glad you like the blog - words of encouragement are always welcome!! I got a great pair of floral trousers from H&M they were about £12 and are really comfy and flattering. I will keep an eye on your blog to see if you manage to find a pair.